Thank you, Angela. We really did have a great time and definitely ate our share of treats! What a fun date night. You definitely can’t go wrong going to EPCOT. If we lived closer, we’d certainly be regulars at Epcot. Love their food and could eat at a different place every night! Oh I totally hear you, Scott. We stole this night during a family visit last year. I’d probably be there every weekend if I lived nearby. This would be a great date night. The photos are fantastic. Looks like you had a great time. Thanks, Claudia. We had a fun night! What a perfect spot for a fun date night! We haven’t been there alone as a couple since before the kids were born. Would love to go back now! Lois Alter Mark recently posted..“going in style” $100 visa giveaway! It was weird because the kids were in our room, but being able to walk over from our resort made it so much more fun and doable. I hope you and your husband can get back very soon! We were only at Epcot for 1/2 a day, so we didn’t get to explore nearly as much as we could. Looks like you had an absolutely amazing time. We plan to head back when the new Star Wars Lands opens. Oh boy, my whole family is so excited for the Star Wars Land to open. I’d say that’s a perfect reason to plan a trip! EPCOT is a great place for a date night. I wish we were closer so we could go all the time! Me too, Ashley! Living closer would be so wonderful. Looks like you guys had an amazing date night! 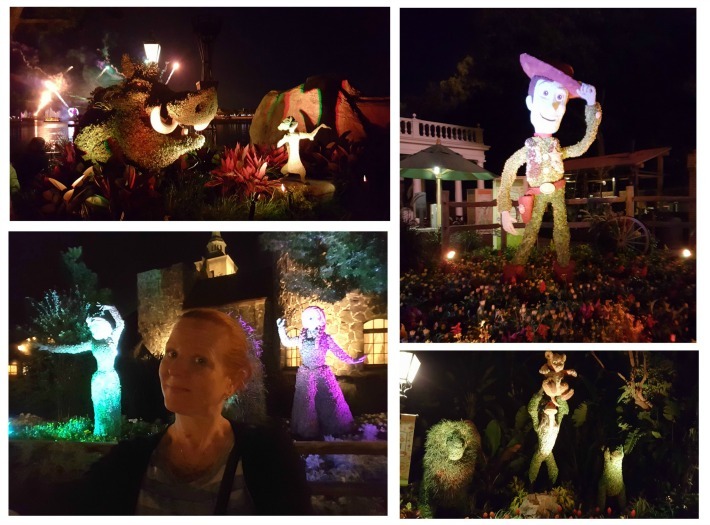 The hubby and I had a date night at Downtown Disney before and as you know anything Disney brings out the kid in you! We DID have a great night, Pamela. Anyone who says Disney is only for kids is crazy because I honestly love it more the older I get. WHat a fun date night! There’s so much to do at Epcot, it’s one of my favorite parks. Cristine recently posted..#WordlessWednesday Shark Bait! I totally agree, Cristine, and that’s why it’s my favorite park! Looks like a lot of fun! Now I really want a funnel cake! That seems like a great date night! 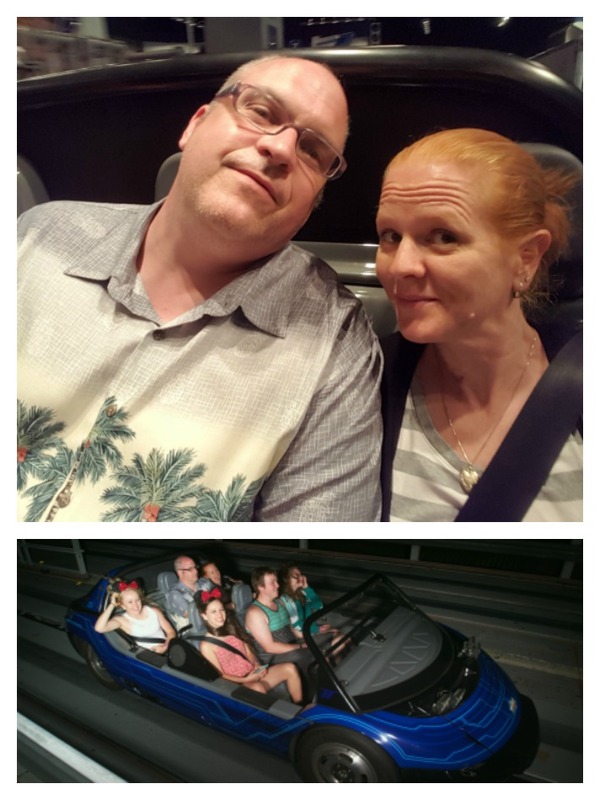 We’ve always been to Disney with the kids but are always saying that once the kids grow up we will plan a trip for just the hubby and I.
It’s definitely not something we had ever done on previous trips when I kids were younger, but it was so fun to be able to do it this time. I hope you and your husband get to take an alone trip soon! 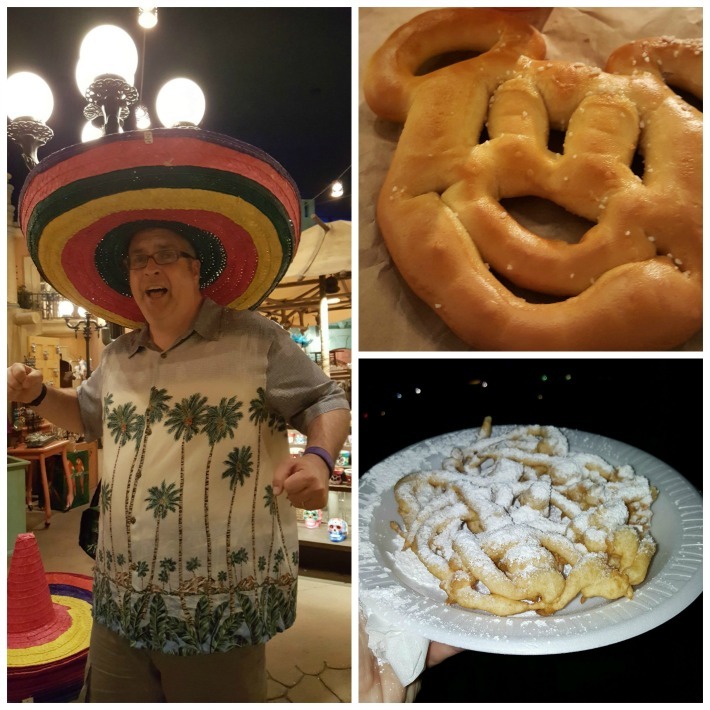 My hubby took me to Disneyland for my 40th birthday (Just the two of us ) and we had a riot!! What rides were you on? Oh that sounds like a perfect way to spend your 40th birthday, Heather! We were on Mission Space an Test Track in the photos. I love date nights at Disney. My husband and I really enjoy all the food offerings, plus we don’t have to worry about long lines like we do when the kids are with us. I’d love to take a trip to Disney alone with my husband at some point. It would be weird without my kids, but also amazing. Date night at Disney? Sounds like a plan to me. It’s a bit of a drive but I’m so willing. Epcot is my favorite and especially during the flower festival. That looks like so much fun. If only I lived closer to Disney! This is an amazing date night!!! My husband and I just do dinner and a movie, Disneyland beats that! I love the park at night, it seems extra magical! Epcot is the best place for a date night. There is so much to do and so many delicious places to eat. My son is a huge fan of Epcot. Looks like you all had an amazing date night there!! 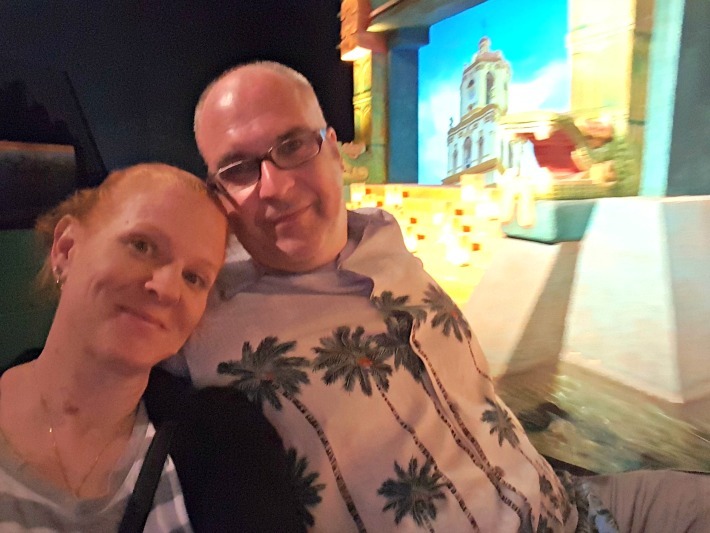 We’ve done date night at EPCOT too 🙂 It’s always fun to pick a different country to have dinner at, and then bounce around the “globe”! How fun! 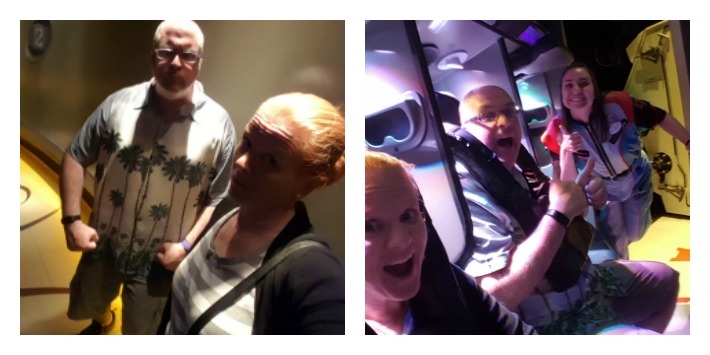 Our family had a blast at Epcot, a date night might be even more fun! That is our favorite kind of date night! 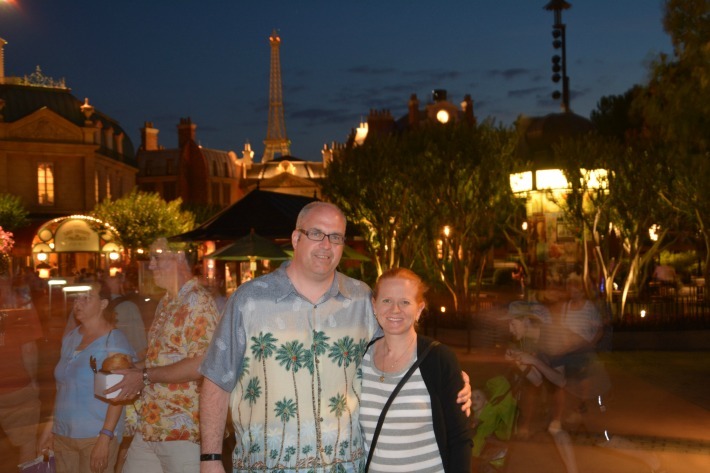 We’ve celebrated everything from anniversaries to Valentine’s Day and birthdays at Epcot!